Owing to the several manifestations of rich architecture in stupas and temples, beautiful beaches and the riveting landscape of dense green forests, valleys and rivers, Orissa has been one of the most visited states in terms of tourism. It attracts hordes of tourists from India and abroad. As in most cases, the Cuisine in Orissa also draws attention of tourists from every corner of the country. While traveling to any part of the world every traveler has penchant for the special cuisine of that particular area. 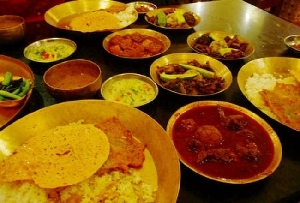 A Tour to Orissa also includes the exploration of the Cuisine in Orissa. Owing to the geographical positions of the neighboring states of West Bengal and Bihar, there have been various Influences in Orissa's Cuisine. Like the nearby states, the staple food for Oriya people is rice. Vegetables grow in abundance here and many people in Orissa are vegetarian. Talking of the Cuisine in Orissa, we must mention the fish and seafood which are specialties here. Crabs, prawns and lobsters cooked in curd or coconut milk with little oil are the special dishes of Oriya Cuisine. Apart from seafood, vegetables like brinjals are also cooked in this fashion. Pancha-Phutana is an important spice- a mixture of cumin, mustard, fennel, fenugreek and black cumin used to season vegetables and dals. Among the Popular Delicacies of Orissa you can opt for the different kinds of pithas. The sweet ones, Chhenapodapitha are delicious. You can neither resist the chakuli, kakara, monda - the other kinds of pithas. One of the traditional and Popular Delicacies of Orissa is the Mahaprasad - the holy food served to Lord Jagannath as bhog. This is mostly available at the Anand Bazar near the Jagannath Temple. 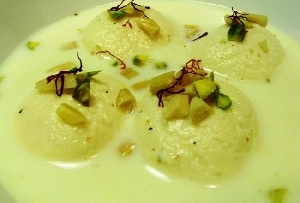 On your Tour to Orissa tasting the above kinds of dishes will be really interesting.